This fun and easy pattern incorporates playful stitches, colorful patterning and seamless I-cord edging for a charming throw or baby blanket. 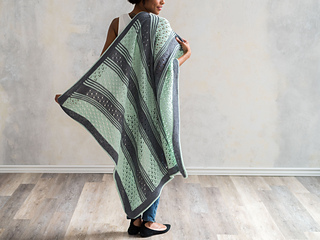 The Whimsey Blanket is also available as a kit from Craftsy. Techniques used: Knit, purl, simple lace, provisional cast on, picking up sts, i-cord bind off, Kitchener stitch.